As I prepared my Bullet Journal for the new year ahead, I looked back at my index and realised I have been using a Bullet Journal for six months. This made me think about the methods I have been trialling and using over the last six month, realising that probably the Bullet Journal system is the longest I have ever stuck with one type of diary or planner. So how has using a bullet journal worked for me over the past six months? 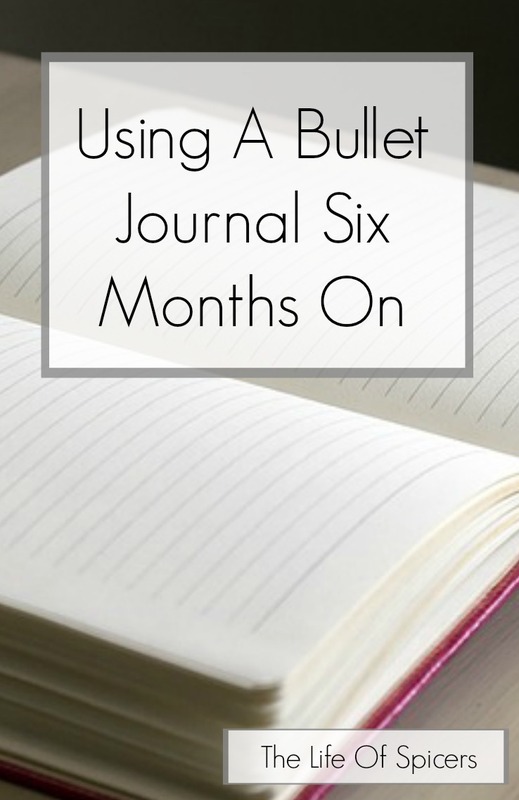 When I first researched using a bullet journal and the supplies I would need to start one, I didn’t understand the concept of a bullet journal to begin with. I found it a little ind depth and confusing, but I soon realised that you could adapt the concept to suit yourself and that is what is great about bullet journaling. I started out with a standard notebook, but as you may have read in previous posts I quickly swapped to a Leuchtturm notebook and have never looked back. I was quick to realise that you don’t need many supplies to start a bullet journal, but it is very easy to want lots of stickers and wash tape to customise the journal. I played around with quite a few layouts in the beginning to decide how I wanted my daily, weekly and monthly calendars to look. In the end I settled on a one page month view to quickly add everything I needed to remember for the month, and then each week is laid out over a double page spread for me to add more in depth information to. I have been using my bullet journal as both a personal and blogging record over the last six months, however I have found the weekly calendar layout to become quite squashed with everything being filled in on a weekly basis. For that reason, I have decided to keep the bullet journal for my personal use in the calendar pages, and have a separate planner for blogging. I don’t go into as much depth with my bullet journal as a lot of other people do, however my system works for me and that’s the best thing about it. I love the fact that I can take a page and add random (sometimes) notes, but that they won’t be forgotten because I have indexed the page at the front of the journal. Will I Continue To Use A Bullet Journal? 100% yes. The system works so well for me in its simplified form. The A5 sized hardback Leuchtturm notebook means that it happily fits in my bag and the pages don’t get crumpled. I can jot down notes, use it as a diary, add wish lists, record meal planning and so much more. The list of what you can add into a bullet journal is endless, and you are only limited by your time and imagination. I am really liking the sound of giving this a go, I always get frustrated by the capabilities of my diary. I think I may need to switch to this system.